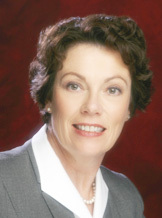 Mimi Jett served on the TUG board for 15 years, including as president. Dave Walden, interviewer: Please tell me a bit about yourself. Mimi Jett, interviewee: I grew up in The Dalles, Oregon, and studied at the University of Oregon in Eugene. My interests have always centered around art and education, so it is not a surprise that I gravitated to the educational publishing industry. As a mother (and recently grandmother), there is nothing more important than family. As an entrepreneur, I was able to arrange my schedule to have the best of both worlds — business and family. MJ: I started Electronic Technical Publishing in the basement of my Portland, OR, home in 1987. There was a prior company, ETP Systems that went out of business three hours before the scheduled Christmas party. We were creating textbooks for Addison-Wesley and Prentice Hall, and at the time we had a couple of half done books which needed to be finished if we were to be paid. So I bought the assets of the prior company and continued the two books already in process. I started ETP as a digital typesetting company which was a little unusual at the time. Originally we didn't know what we were doing, for instance, the way editing symbols are standardly used to communicate with authors. We were so naive that we created all of the editorial symbols and incorporated them into the page proof for a book. Needless to say, the author was not impressed. But Prentice Hall was generous with time and eventually taught us how to interpret the specs of typesetting. At that time, we had been producing math and engineering textbooks from authors' troff files, which was a bit problematic. My business partner, Dan Olson, had worked with TeX at University of Washington under Pierre MacKay. Dan suggested that we consider moving to TeX, which was a brilliant idea! We got a distribution of TeX from the University of Washington with about $50 in expense. I was amazed at the power of TeX and could not believe the price! For a while we used both troff and TeX, but slowly we moved almost all the way to TeX. Only Doug Comer still used troff for his books. Publishers were somewhat surprised that we could create books for authors' files. DW: Please tell me a bit more about the evolution of this business. MJ: We had originally planned just to finish those two books and get paid, but by then we had five more books to do, and then more books and manuals. In 1988 we moved from my basement to a building. We employed TeX/LaTeX for every type of complex publishing project including full color production — 4-color separations from TeX code, and film for large flats for creating and lithographing the pages of a signature. As I mentioned, math and engineering books were our specialty. We got our start creating user manuals for UNIX for different computer manufacturers. We could modify the code a bit to adapt the UNIX manual to a particular manufacturer and get paid for typesetting every page of a UNIX manual. Eventually we purchased a QuarkXpress typesetting company in Portland named Harrison, and the company became ETP Harrison. Then in 1997 we sold the company to a friendly competitor, Gordon Johnson of Interactive Composition Corp., who had an office in Pleasant Hill, California. So then three companies were combined. Johnson closed the California office and combined activities in Portland. His son was involved in the business, and I stayed on until 1999 to help them with the transition. Eventually they sold out to McMillan India. DW: How and when in this progression did you become involved with TUG? MJ: When we first got the TeX distribution in 1988, I immediately became involved with TUG. I was very impressed with this essentially free system and free support group and thought I had a duty to participate. I felt I owed the community a lot. We gave one percent of profits to TUG when we had a profit. My first TUG meeting was Stanford in 1989. It was amazing to see so many people interested in the fineries of typography. My first speaking gig at a TUG conference was 1990 at Texas A and M. I presented my paper on “Textbook Publishing — 1990 and Beyond” at that conference [TUGboat, Volume 11, Number 3, pages 413–416]. DW: In time you were involved in a series of TUG positions: Annual Meeting Program Coordinator, 1992; Board member, 1992–1993 and 1995–1996; Treasurer, 1995–1997; President, 1997–2003. Why did you volunteer eventually to be president (it was not a contested election)? MJ: I felt I had leadership skill and commercial experience that would be useful to TUG. TUG had had some bumpy times when I became president. There were some disagreements about finances. Lots of local users groups had a representative on the board and so many people made it unwieldy. Yearly two- or three-day in-person board meetings were being held with lots of diverging points of view. Eventually we pared the board size down to 12 or 13 members which was more manageable. I had space in my business in Portland, and so we moved the TUG office to Portland, partly for better control. I asked Don Deland who had business experience to become treasurer. We hired Robin Laakso. I think she originally was to be the bookkeeper, but she had a willingness to do whatever it took. She did so much and was so pleasant and got along with everyone, and her role expanded. I became president at the 1997 TUG conference at the University of San Francisco, already knowing I was going to move the office to Portland. Throughout the conference, there were 20 or 30 boxes near the registration table. As the conference ended, Arthur Ogawa told me that these boxes were everything that belonged to TUG and they needed to go to Portland with me. We rented a truck to drive them to Portland. I attempted to run TUG more like a business. I sought help for Barbara Beeton to help TUGboat catch-up. DW: Some of your president's letters in TUGboat mention going to non-TUG conferences. MJ: Part of my regular work was attending the joint math meetings (AMS and MAA) and American Society for Engineering Education conferences. I tried to promote TeX and TUG awareness at these meetings. All in all, I learned a lot about leadership as president of TUG, as well as providing leadership; and I am quite honored to have been able to serve in this position with TUG. DW: After you sold ETP Harrison and then spent a couple of years helping the new company get off on the correct foot, you went to IBM. Please tell me about that. DW: In the business we had been doing math books for Addison-Wesley and Prentice Hall. With the physical pages, they also wanted digital files to upload to Blackboard. We had to use GIF images for the math. A book could contain hundreds of thousands of GIFs, which could crash the system at Prentice Hall. At the Saint Malo conference I met a couple of guys from IBM who had created the TechExplorer system to display TeX on the web [http://centaur.maths.qmw.ac.uk/CTI_MathML_Workshop/]. I thought this was so neat. I took the two guys around to publishers to explain what TechExplorer could do, and in October 1998 I visited IBM Watson Research (where the work was done) and proposed how TechExlorer could be a commercial product. At first this IBM research lab was uninterested, but in January 1999 they sent me an email saying they'd been thinking about it and could I join the lab as the marketing person for TechExplorer (the only marketing person in the research lab at that time). Ultimately, the researchers at Watson were not so sympathetic to what customers wanted in a product, and the product was not going to have enough billions of dollars in revenue to be really interesting to IBM. So IBM sold the code to Integre Technical Publishing under Don Deland, who saw the value of it as a web product. Don continued to develop derivative programs until March of 2011 when he sold the entire company to Pearson. DW: What happened next in your career? MJ: In 2002 I went to work for Renaissance Learning, which provides technology-based products for K–12 schools. I signed on working as General Manager of the Vancouver, Washington, office, across the river from Portland. Before long, I was promoted to Vice President for Business Development; and my husband and I moved to near Madison, Wisconsin, near where Renaissance has its headquarters. In 2005, I left Renaissance and, still living near Madison, began consulting for LTGO in Boston and for various educational technology start-ups. I spent a good deal of time working with Don Deland and Integre. In 2008 I went to work as VP for business development at netTrekker, a search engine for K–12 schools. They were based in Cincinnati. Then I was made general manager in 2009, and we had to move to Cincinnati. More recently, our children began to have grand babies, and we decided to move back to Portland. I had done a lot of work for Don Deland for which he hadn't paid me, but he is a good friend and I knew he would pay when he could. Just as I was leaving my job in Cincinnati, Don sold Integre, and thus I also had a payday — very helpful to the transition. Now I work in downtown Portland for Avant Assessment, which also develops digital products for the K–16 marketplace. Avant specializes in assessment of world language and English proficiency. DW: Looking back, how would you summarize your time with TUG? MJ: I think I helped in bridging between the academic and commercial worlds. A story about Karl Berry who succeeded me as TUG president. Karl was doing so much work, but many of us had never met him. We joked that maybe “Karl Berry” was just a pseudonym for a bunch of people doing work for TUG which they published under the same fictitious name. Sometimes we referred to him as “Karl2000”. Barbara Beeton assured us he was a real person. DW: Thank you, Mimi, for taking the time to talk to me and for your important service to TUG from 1988 to 2003.